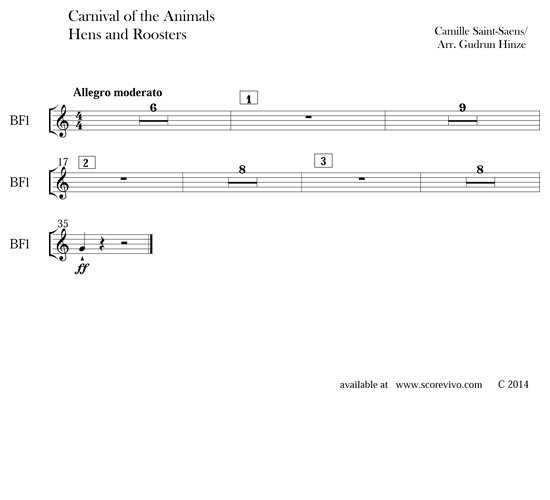 The bass flute has a unique challenge as Saint-Saens' (1835-1921) heavy-sounding elephant as well as the all-reigning rooster among the chattering of the hens. 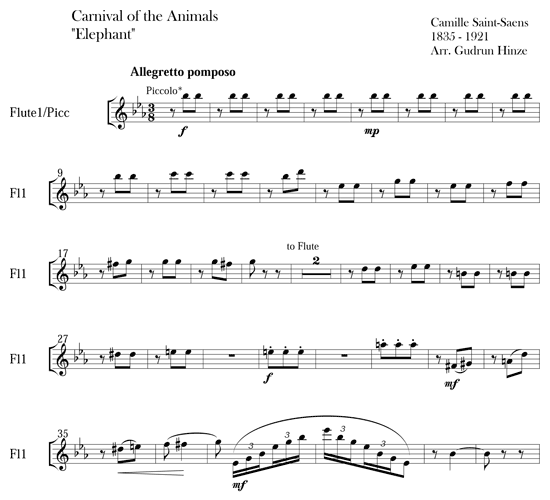 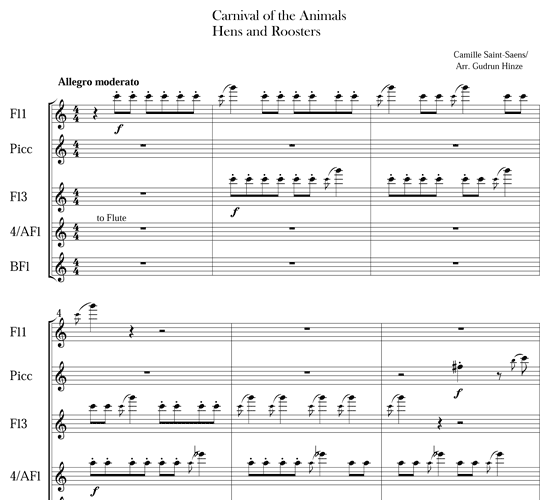 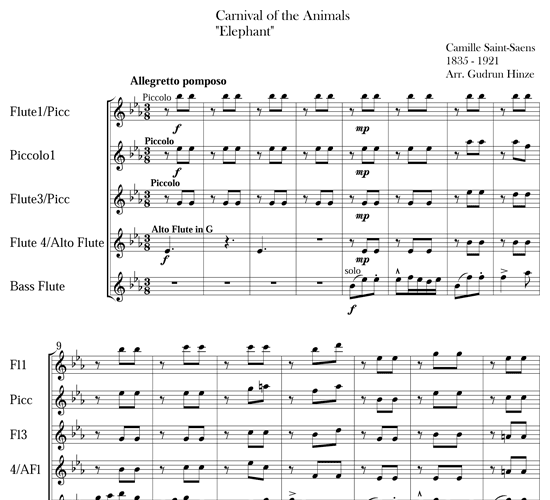 Thematic material for “The Elephant” is taken from Mendelssohn's “Incidental Music to A Midsummer Night's Dream” and Belioz's “Dance of the Silphs.” The joke is that both themes were originally written for high instruments, but Saint-Saens moved them to the lowest instruments. 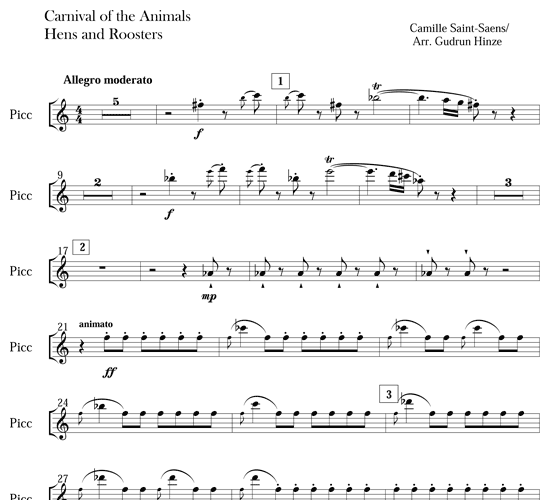 The “Hens and Roosters” movement is centered around a staccato theme quite reminiscent of chickens pecking at grain. 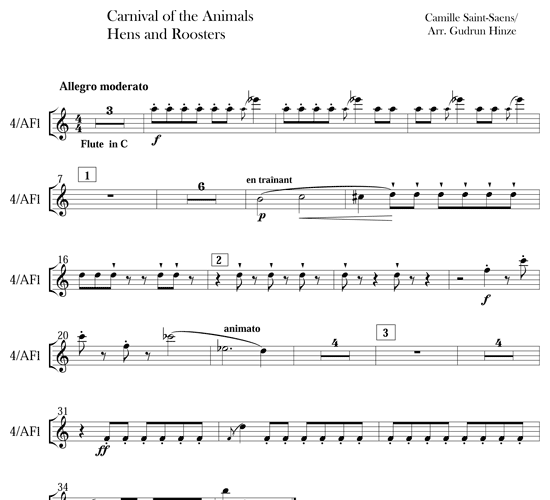 The rooster is marching silently along the rows of hens who nervously run around him, ending their chatters with a fortissimo last shout! 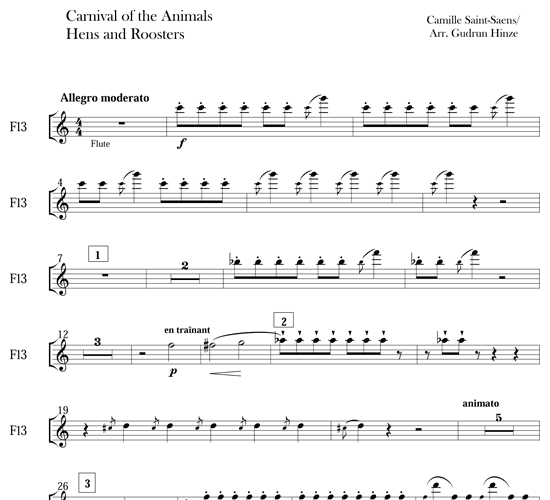 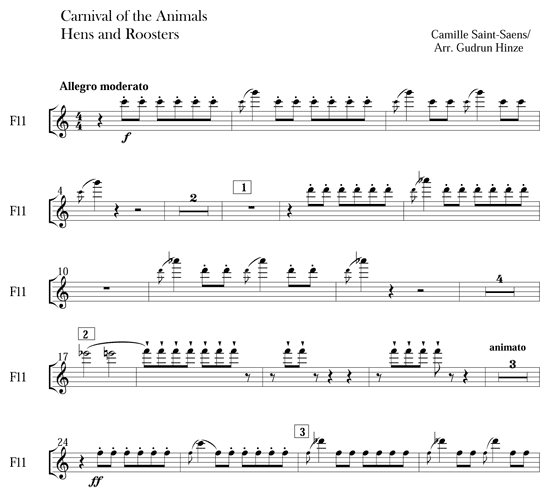 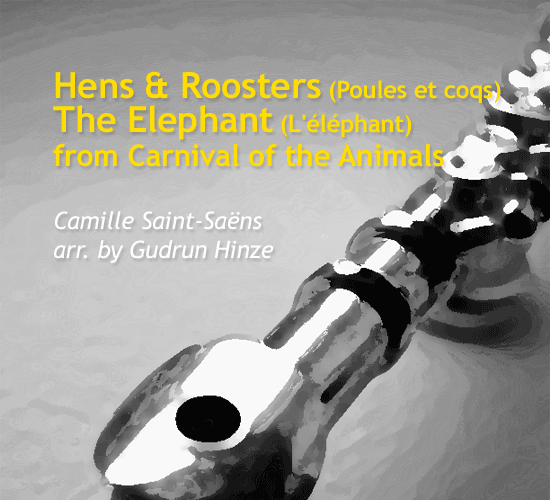 /wp-content/uploads/2014/04/mp3-hens-roosters-from-carnival-of-the-animals-by-gudrun-hinze.mp3“Hens and Roosters” performed by the Quintessenz ensemble. 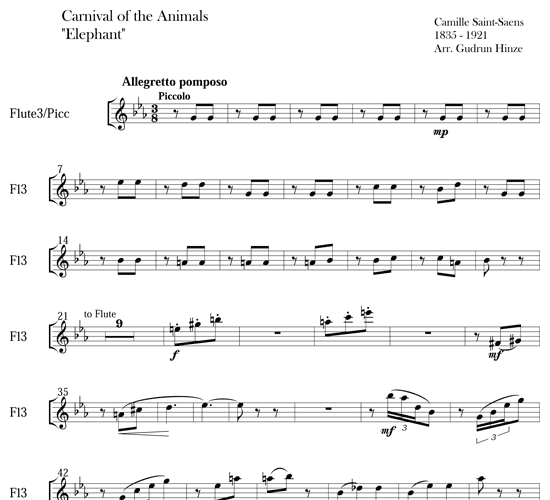 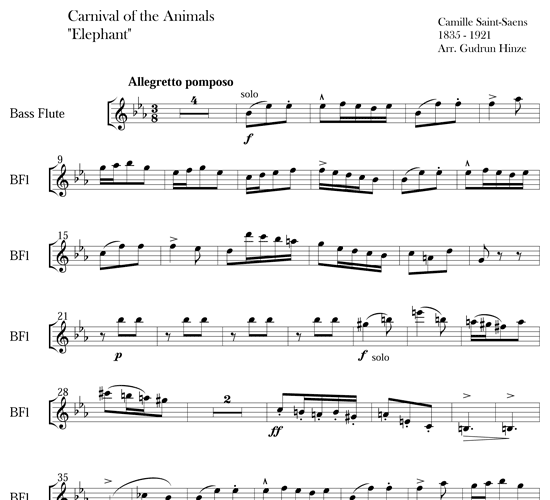 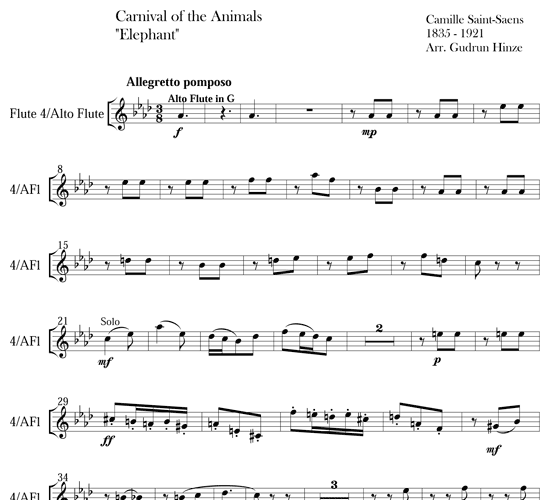 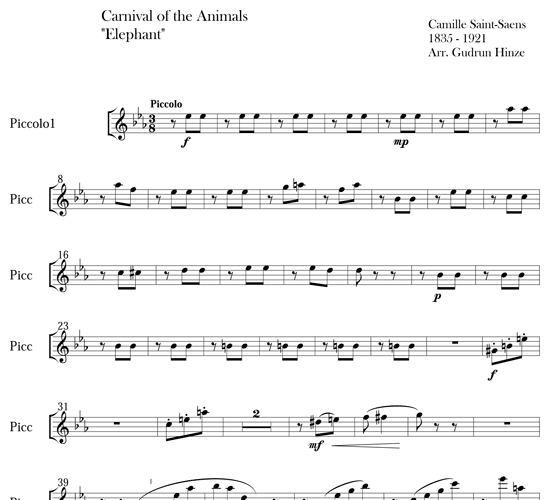 http://www.scorevivo.com/wp-content/uploads/2014/04/mp3-elephant-from-carnival-of-the-animals-by-gudrun-hinze.mp3“The Elephant” performed by the Quintessenz ensemble.